[vc_row][vc_column][vc_single_image image=”115933″ img_size=”large”][thb_gap height=”40″][vc_column_text]Meal-times can often be a minefield and a real source of stress for parents. But are we getting too hung up on our children’s eating habits? Dietitian SARAH KEOGH helps us find a healthy, happy medium. 74 per cent of teenagers are missing out on iron. Add to that all the reports about how nutrition affects children’s chances of developing heart disease, diabetes, and even cancer and it’s no wonder parents are in a panic about their kids’ meals. Healthy eating is important, but can we go too far in trying to have the perfect eating plan for our little ones? Children benefit from having lots of different foods but there is no need to panic if they don’t eat every single thing put in front of them. 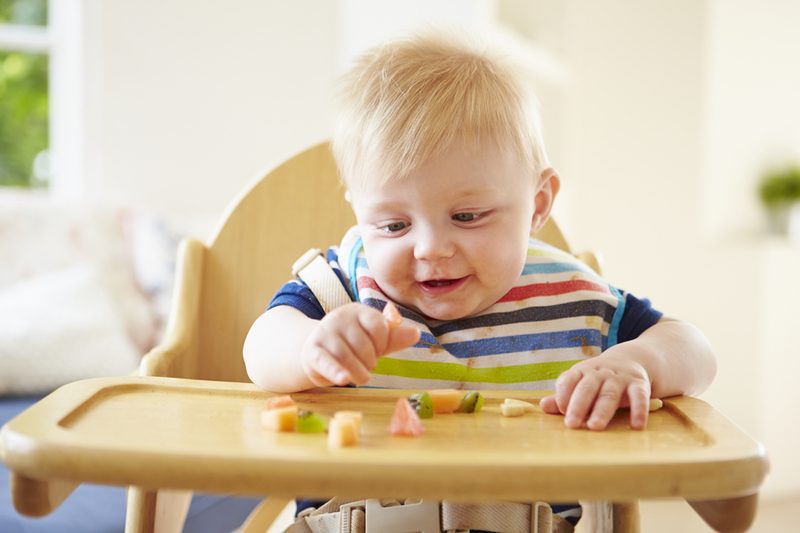 Parents often complain that their child is a fussy eater when, in reality, the child simply hates celery, or cabbage, or doesn’t like her potatoes to touch her carrots. Most ‘fussy eaters’ are actually fine, they just have likes and dislikes in the same way that adults do. A greater problem is that too much focus on a rigid diet or over-restricting certain foods can lead to problems with eating later on. Children whose mothers have eating disorders are more likely to have both problems with fussy eating and issues with body image. They are also more likely to be underweight. Children who are forced to eat larger portions of food (and always told to clear the plate) are more likely to restrict their food when they are older. Children are also more likely to binge on treat foods if they have been very restricted at home. 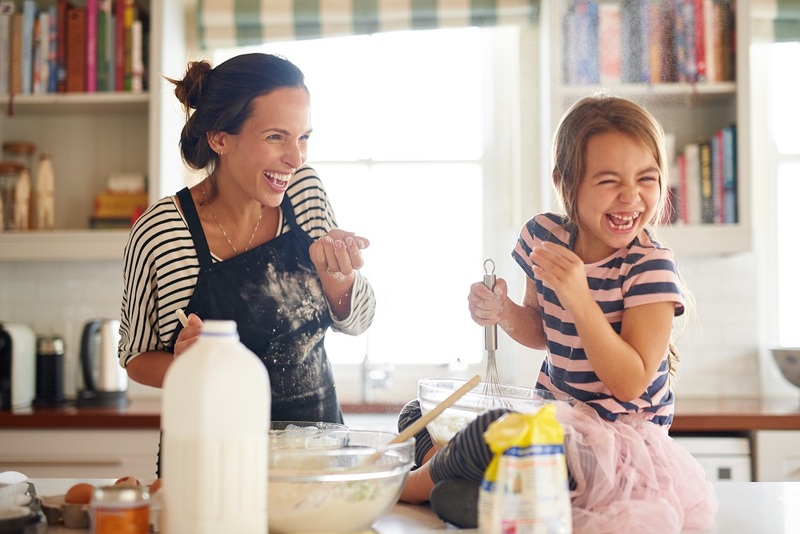 On the other hand, letting your child eat just what they want is a recipe for disaster – so what is the happy medium? ‘Everything in moderation, including moderation’ is a good place to start. Most of us know the basics: children need three meals a day, most need at least one snack in between and not everything should be deep-fried. You can go into huge detail about healthy eating for children but five simple steps will set a good foundation. Breakfast, lunch and dinner should be at roughly similar times every day. If there is going to be more than three to four hours between meals most children will need a snack. For example, wholegrain cereal or toast. This is easier said than done, but fibre intake is important. Roughly one-third protein foods (meat, chicken, fish, eggs or beans); one third carbs (potatoes, bread, pasta, rice) and one-third vegetables. Only give fruit juices with meals and limit this to just one small glass per day. Keep soft drinks as very occasional treats, eg only at birthdays, or celebrations. These include fruit, cheese, wholegrain crackers with peanut butter, bread sticks, dried fruit, nuts for older children and a bowl of wholegrain cereal. Treat foods should be just that: treats. Don’t ban sweets, crisps and chocolate; adopt a healthier approach where you have them once or twice a week, instead of every day or not at all.